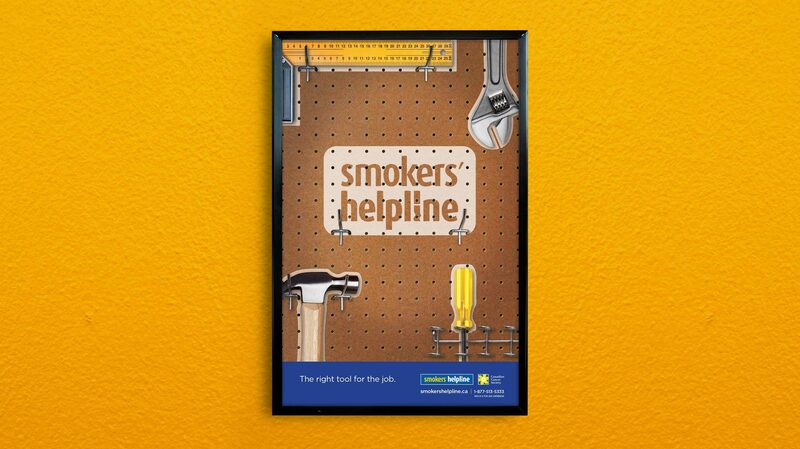 The Canadian Cancer Society wanted to communicate with smokers who work in the construction and trades industries. The message? 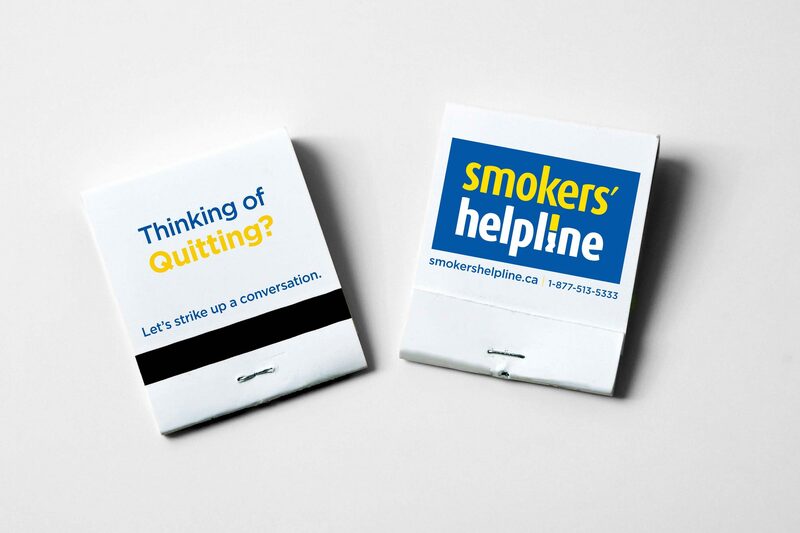 The Smokers’ Helpline is free, confidential, and here to help you quit. Bravo Tango was approached to help spread the message in a way that would resonate with the target audience. 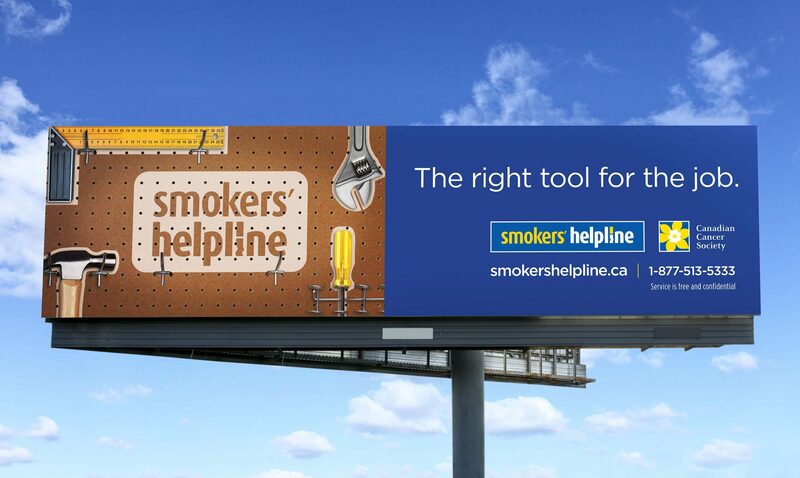 As a result, we developed a campaign that featured a series of traditional construction tools hanging on a pegboard with one tool missing. 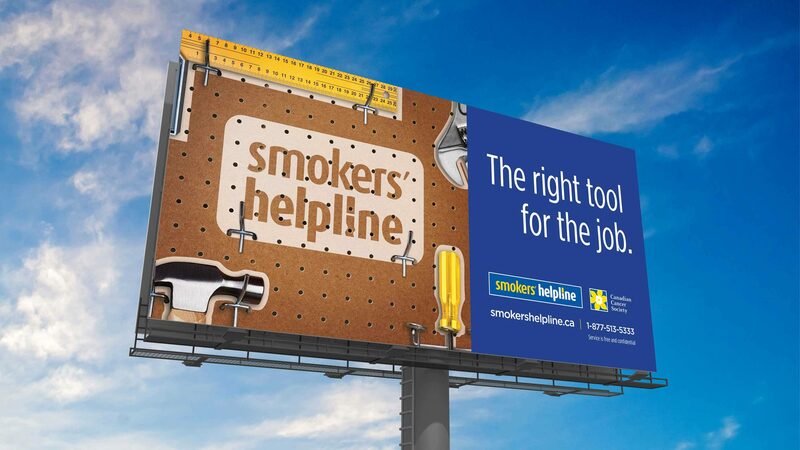 The campaign tagline “The right tool for the job.” informed viewers that the Smokers’ Helpline was the tool that would help them kick the habit. Not only was the creative specific to the target, but the media selected was also done so with the audience in mind. 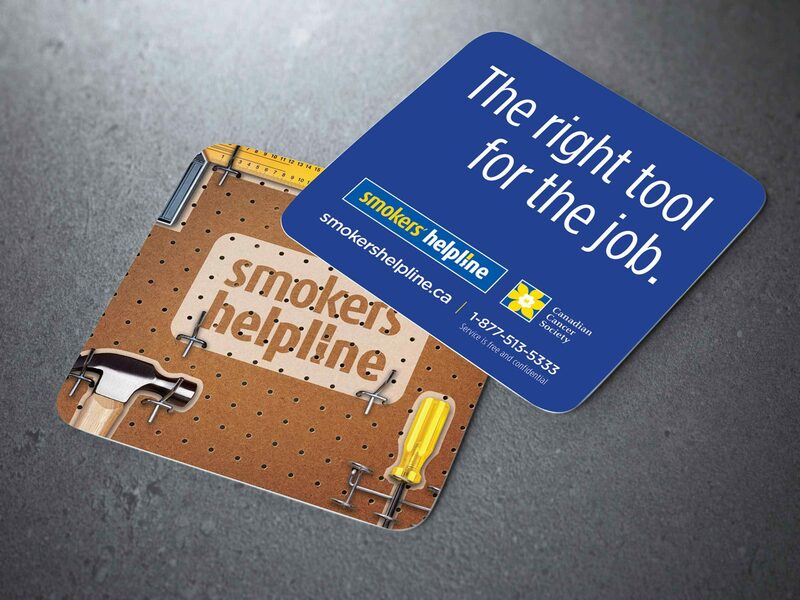 In addition to carefully selected outdoor locations, we also shared the message online, on pub coasters, with captive washroom posters, as well as on matchbooks.